Welcome to my sketchbook. 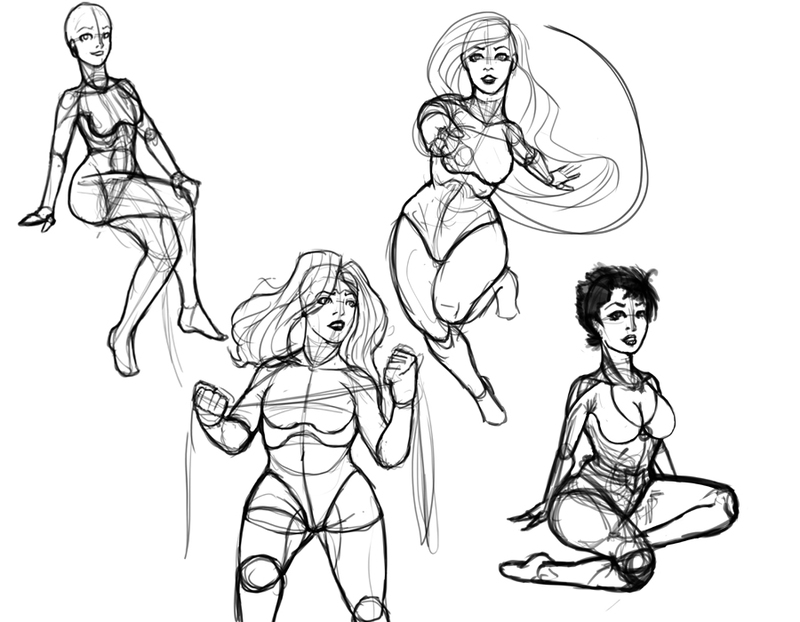 I'm here to draw pinups and do some isometric art. 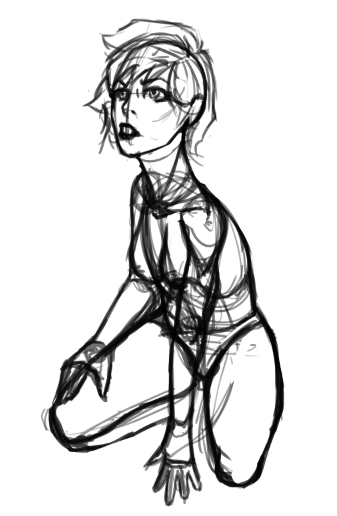 I really just want to get a better understanding of the human figure and be able to draw it in any pose I want. So thats why i'm here. Any help is greatly appreciated and i'm always looking for a drawing buddy or two. Also I live in New York so anyone who is in the same time zone hit me up for a hangouts session some time! Some old work from my deleted deviantart account. Last edited by geryes on Mon Jul 09, 2018 6:43 pm, edited 12 times in total. Pretty interesting poses you have going on there. Nice and flowy. I especially like the 3rd one from the fifth image. You might want to work on the form of the breasts overall, though. Scribble scribble scribble. Ugh, it looks horrible. Erase erase erase. Auuugh it smudged. Eraaaaase. Nooooo! I really, really like tigers. Location: Lithuania.... not really... I'm boring. Woah, nice gestures! Welcome to the forums. 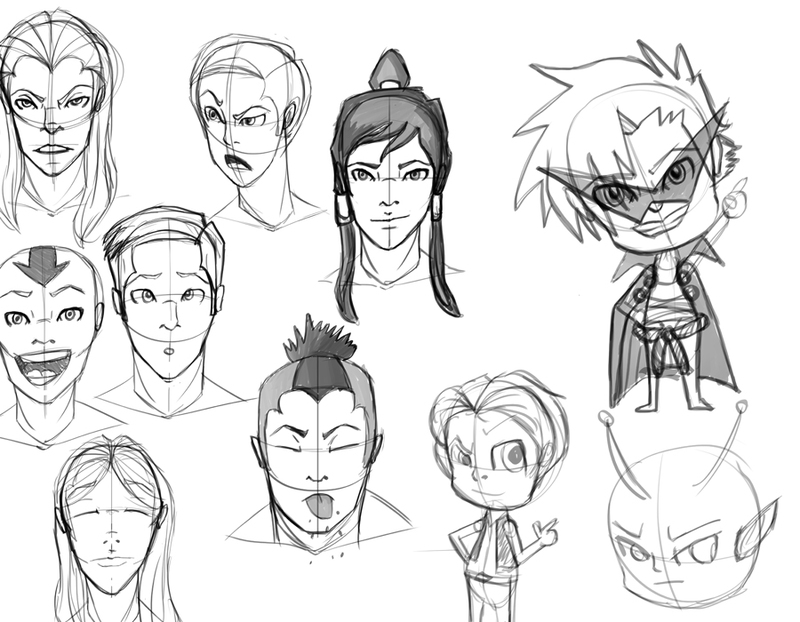 20 - F - Student - Future concept artist and manga illustrator! I really like your dynamic poses. I can't wait to see more. If I am worth anything later, I am worth something now. For wheat is wheat, even if people think it is a grass in the beginning. Last edited by geryes on Thu Feb 25, 2016 4:19 pm, edited 1 time in total. i love how much life and action there is in your work. i hope you get into comic books or something! Oh cool! 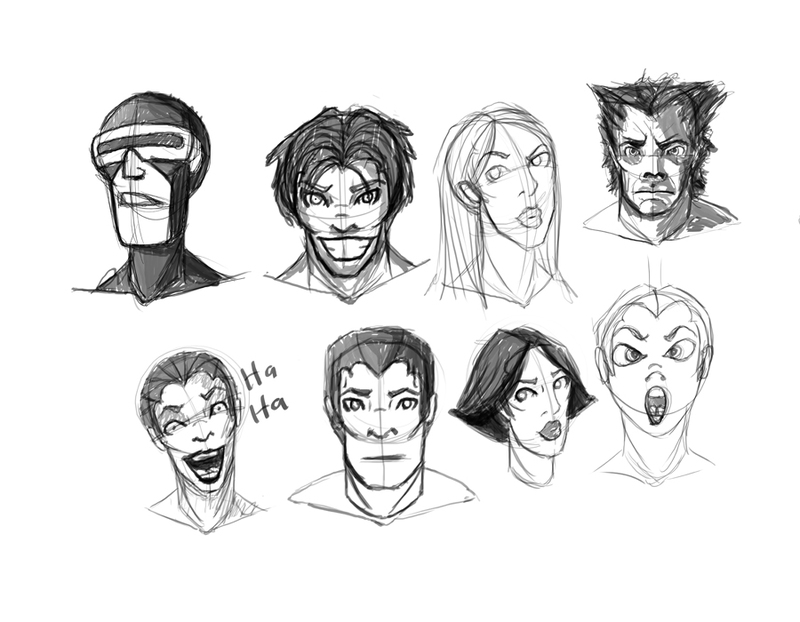 Your sketches look very dynamic. I'm curious to see more from you! jachuu wrote: i love how much life and action there is in your work. i hope you get into comic books or something! Thank you! I'm not sure if I want to get into comics, pin ups, or character designs yet, so i'm just exploring fro now. Thank you! I look forward to your development as well, you gots great stuff. GlassLotus wrote: Pretty interesting poses you have going on there. Nice and flowy. I especially like the 3rd one from the fifth image. You might want to work on the form of the breasts overall, though. Thanks! Yea, as a man i have had trouble with drawing dem breasts, but i think I got a little better . Last edited by geryes on Thu Feb 25, 2016 4:17 pm, edited 1 time in total. 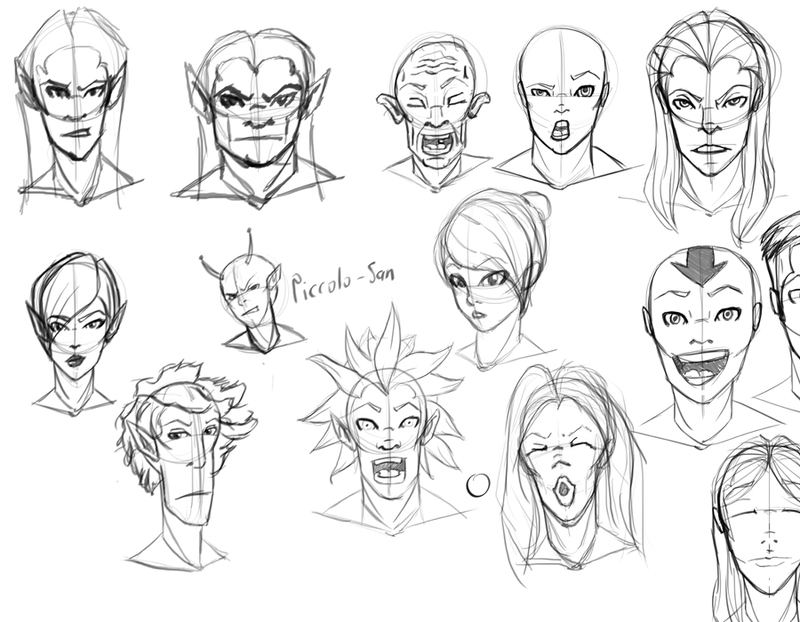 Nice studies, huge improvement when you compare your first and most recent work! Vero wrote: Nice studies, huge improvement when you compare your first and most recent work! 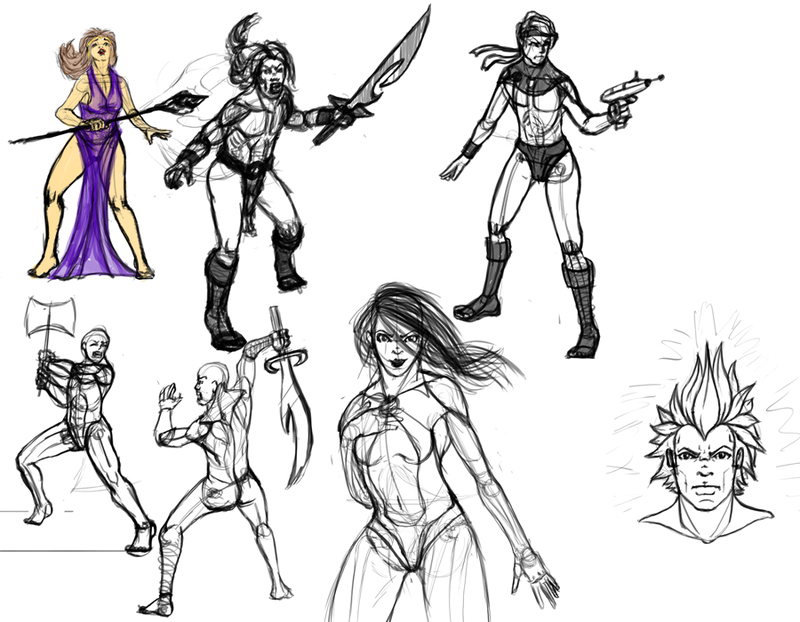 A couple of character concepts done im working on in the hangouts. 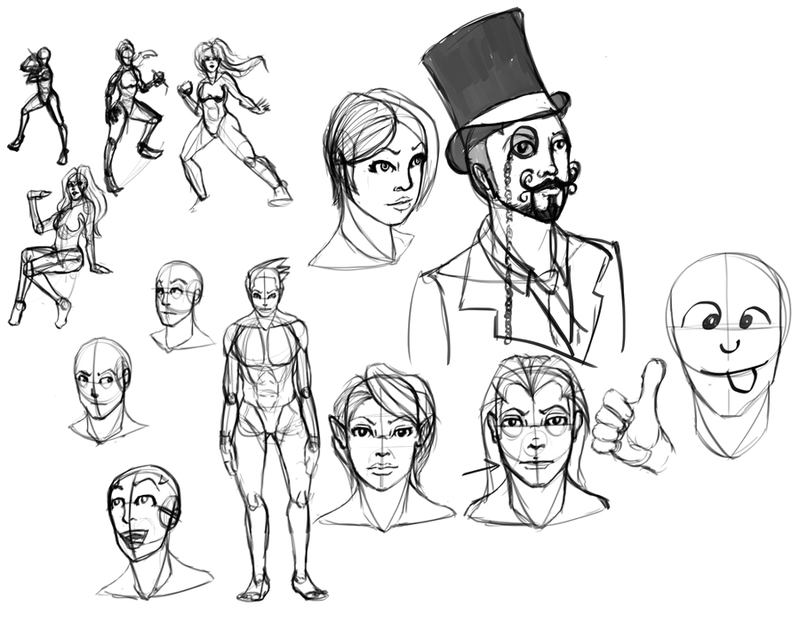 More sketch dumps from the Hangouts session. Last edited by geryes on Thu Feb 25, 2016 4:10 pm, edited 1 time in total. Been a while since I posted. 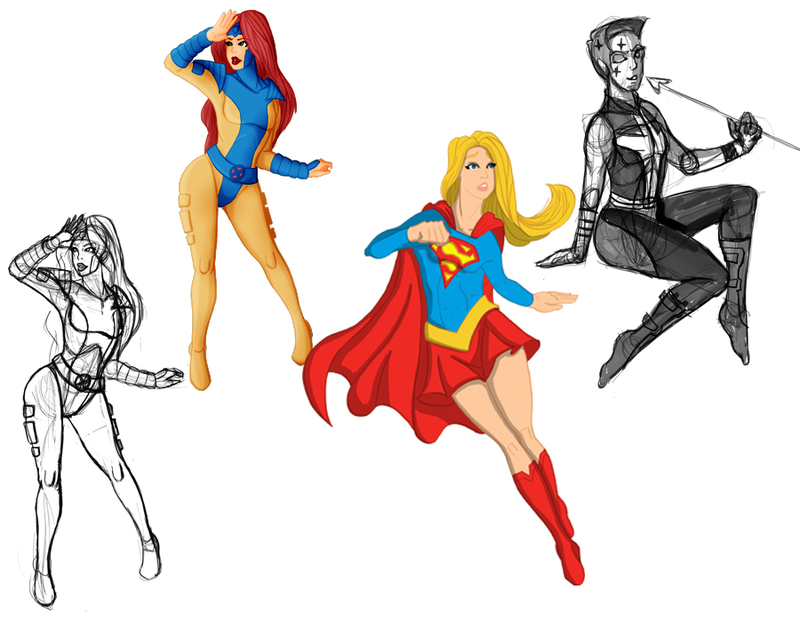 Heres some stuffs i worked on lately. Last edited by geryes on Thu Feb 25, 2016 4:05 pm, edited 2 times in total. Last edited by geryes on Thu Feb 25, 2016 4:00 pm, edited 1 time in total. Last edited by geryes on Thu Feb 25, 2016 3:59 pm, edited 1 time in total. We don't have access to your dropbox, so we can't see your images. Ambiguity wrote: We don't have access to your dropbox, so we can't see your images. Thanks! I was wondering why they wouldn't show up on other computers. 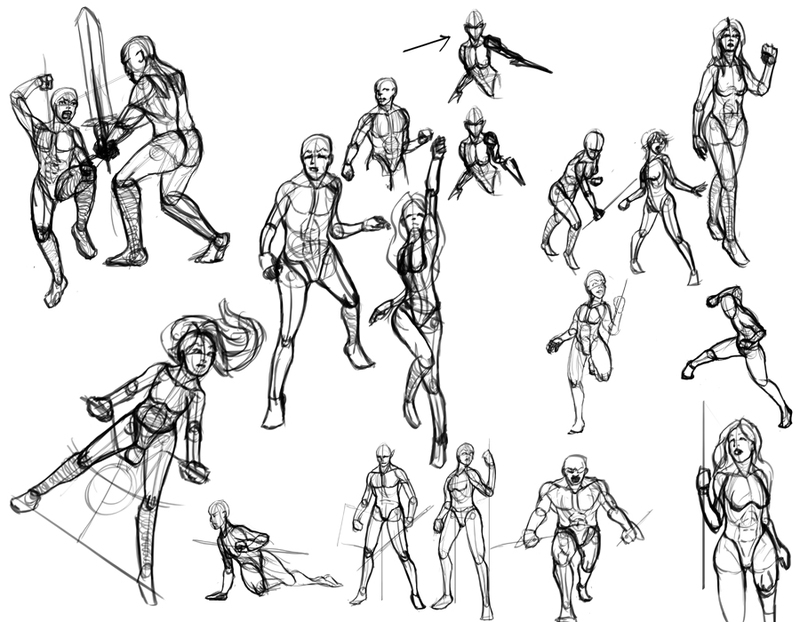 I like your sketchbook so far, poses are looking good. The only thing I could possibly say is watch out how you draw arms sometimes they look a lil shorter then they need to be. But that was only really in the beginning of you sketchbook, you've improved!